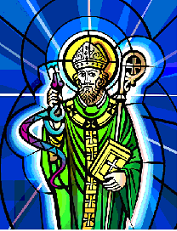 Saint Patrick’s Day was made an official Christian feast day in the early 17th century. The day commemorates Saint Patrick and the arrival of Christianity in Ireland, and celebrates Irish culture. Patrick was Roman British. At the age of sixteen, he was kidnapped by Irish raiders and taken as a slave to Gaelic Ireland. He spent six years there working as a shepherd. During that time he “found God”. Patrick escaped and returned home to Britain. He became a priest and returned to Ireland to convert the Irish to Christianity. Patrick’s efforts against the druids were eventually turned into an allegory in which he drove “snakes” out of Ireland (Ireland never had any snakes). 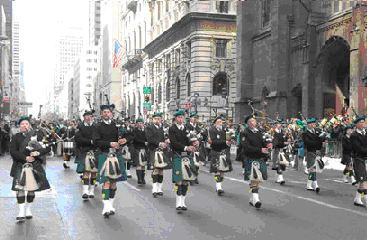 St Patrick’s Day parades began in North America in the 18th century but did not spread to Ireland until the 20th century. Lenten restrictions on eating and drinking alcohol are lifted for the day. ‘Drowning the shamrock’ or ‘wetting the shamrock’ was once popular in Ireland. To close the celebrations, a shamrock was put in the bottom of a cup, which was then filled with whiskey, beer or cider. A toast to St Patrick, to Ireland, or to those present was drunk. The shamrock would either be swallowed with the drink, or be taken out and tossed over the shoulder for good luck. St Patrick is said to have used the shamrock, a three-leaved plant, to explain the Holy Trinity to the pagan Irish. The saint is often depicted “with a cross in one hand and a sprig of shamrocks in the other”. 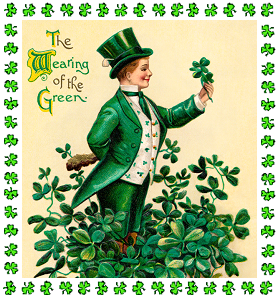 During the 1790s, green became associated with Irish nationalism and the United Irishmen, an organization that launched a rebellion in 1798 against British rule. Saint Patrick’s Day is celebrated in more countries than any other national festival. St. Patrick’s Day Factoids from Wikipedia. I love St. Patrick’s Day. 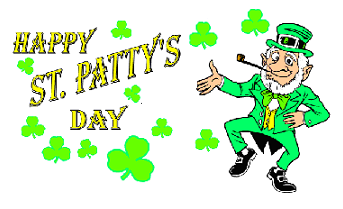 It’s such an easy holiday, as no one expects you to do anything, except celebrate all things Irish and enjoy yourself!